Can you do a rundown of Halo from a scientific perspective? I’ve really enjoyed your writing about Armageddon and would like to hear your thoughts on the game that has (since its début in 2002) become a phenomenon. Tanks in advance! My answer to this one isn’t particularly scientific in any rigorous sense of the word, nor does it have much to do with the Halo universe itself, but I’m going to do it anyway because it’s still kind of fun. Or at least I think so, anyway. Most elements of the Halo universe are conventionally sci-fi – magic spaceships, magic faster than light travel, magic anti-gravity, all the stuff you really need to hand-wave away in order to make possible the intergalactic space war that forms the background for the Halo story. I can’t quibble with any of that, in the same way that I don’t quibble with the existence of wizards and undead in the Myth series: it’s necessary for the setting. However, what I can quibble with is the thing they put front and centre of the Halo games: the Halos themselves. The Halos are ring-shaped megastructures with a diameter of 10,000km and what looks like a width of around 300-400km. On the inner surface of the ring is a fully-functioning biosphere with a breathable atmosphere, water, plant life and weather regions. The ring is spun to provide enough faux-gravity in the form of centrifugal force to keep all this stuff stuck to the inside of the ring. This kind of space habitat is not a new idea; it was first popularised in Larry Niven’s Ringworld and became a common part of the late Iain M. Banks’ Culture novels, with the Culture Orbitals being truly vast structures on the scale of millions of kilometres which dwarfed the comparatively titchy specimens on offer in Halo. If you’re trying to build somewhere for people to live in space and have access to ridiculously advanced levels of engineering technology, then a ring-shaped structure is not the worst idea in the world. While I can think of a lot of better ways to do it I can’t think of any reason why a ring wouldn’t work. On the face of it setting Halo on a ringworld isn’t so terribly unscientific, then. They’d work as space habitats. But there are two problems with the implementation of ringworlds as seen in Halo. The first is rather prosaic: even the backwards human race is shown to have some form of artificial gravity system functioning on all of its spaceships. If you have artificial gravity then the primary – indeed the only – reason you would build your space habitat in the shape of a ring is negated; access to artificial gravity technology means that you no longer need to spin something to get the things on its inside surface to stay on, and so the question arises of why the hell you did that in the first place. The second problem partially deals with the first, in that we discover during the course of the first game that the Halos aren’t actually intended to be space habitats at all. Instead the Halos are ancient superweapons designed to wipe out all sentient life within a large radius (I think a range of tens of thousands of light years is mentioned in the first game, with a network of seven Halos being enough to wipe clean the entire galaxy). Now, maybe the Halos weren’t built in a ring shape because the builders wanted people to live there. Maybe they have to be ring-shaped in order to carry out their function of galaxy-wide genocide. Who knows how these things work. Unfortunately this theory is somewhat sabotaged by the fact that there is a working biosphere on the inside surface of the Halo that is capable of supporting life, which would require the builders of Halo to go to a not inconsiderable amount of extra effort to get it all to work. If Halo is not supposed to be a space habitat then why the hell does it resemble one so exactly? 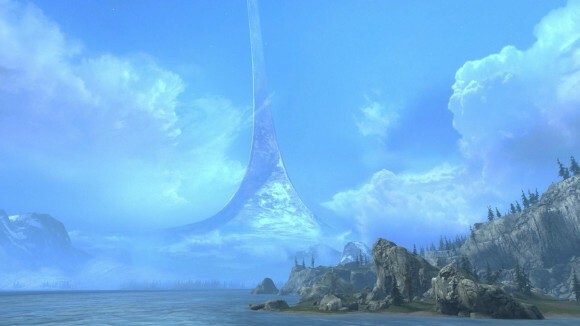 Of course the answer is that a ringworld is a pretty striking setting for an FPS which certainly seems to have done Halo no harm whatsoever; nobody who played it is going to forget booting it up for the first time and seeing the world curving up over their heads. That’s fine. The plot of Halo isn’t especially coherent anyway, so some inconsistency over what exactly the Halos are for versus how they’re designed is to be expected. However, the question did get me thinking as to what other useful things could you do with a ring-shaped megastructure. 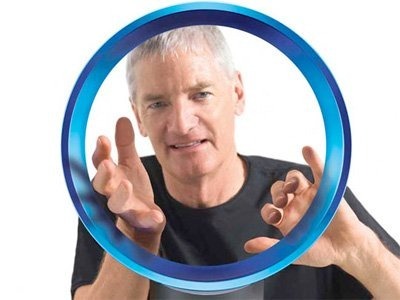 The resulting list was a fairly short one, consisting as it did of a single item: energy gathering via Dyson structures. If you read or watch sci-fi at all you’ve probably heard of the Dyson sphere concept, at least in passing. A Dyson sphere is a shell of matter constructed around a star in order to maximise the amount of energy you can harvest from that star. Make the shell dense enough and there’d be practically no wastage; you’d be able to gather 100% of the star’s energy output, which is a truly ludicrous amount of power. After the shell harvests all this power it would then be transmitted elsewhere so that the civilization that built the shell could do something useful with it. Some misconceptions about the Dyson “sphere”: that it is a solid object, and that it has to take the shape of a sphere. A lot of sci-fi writers made the mistake of having their Dyson spheres be solid shells of matter enclosing their parent star. This is stupid for several reasons; if we’re considering structures on this scale we have to assume that the technology would exist to make the shell solid, but a solid shell would be gravitationally neutral in relation to its parent star since it would envelope it uniformly at a constant distance. Each part of the shell would cancel out another part of the shell, which raises the interesting hazard of having the parent star drift into the side of the shell (or vice versa) since neither of them is gravitationally stable compared to the other. There’s also the minor niggle that there might not actually be enough construction material present within the star’s solar system in order to actually make a solid shell. So solid Dyson spheres truly are science fiction, with no possibility that even a hyper-advanced race would be able to make one without circumventing a fair number of the laws of physics. Happily for us they are just a corruption of Freeman Dyson’s original idea, which was to have an orbiting array of satellites gobbling up a star’s energy output. While it would still be a massive engineering project this is much more plausible, and while not having a solid structure means the shell is going to be less than 100% efficient it does have the advantage that you can start the shell simple and work up from there. The simplest form of the shell is – you guessed it – a ring-shaped array of satellites all orbiting the parent star on the same plane. Scaling up would result in multiple interconnecting rings with very complex orbital characteristics, but if somebody could sit down and work out the maths there’s no real reason why it couldn’t be done. Which does rather beg the question: why would you want to? Type I Civilizations have the capability to utilise the entirety of the energy resources provided by their home planet. Type II Civilizations have progressed further and are capable of tapping into all or most of the energy generated by their parent star. Type III Civilizations have progressed furthest, and have found a way to harness the energy output of an entire galaxy. Now, clearly that’s not remotely scientific in the least, and the concept of a Type III civilization in particular boggles the mind; we’re talking about completely utilising the energy of at least a hundred billion stars simply to service the needs of your civilization. Our own civilization can only make use of a fraction of the energy provided by the Earth – it doesn’t even rank as a Type I on the Kardashev scale — and from there it’s very difficult to imagine what the hell you’d need so much energy for. But that’s the point in the scale. It’s supposed to get us thinking about how large a civilization could grow if it were unconstrained by 20th – now 21st – century technology and modes of thinking. It’s a fair bet humanity will make it to Type I status eventually, since this roughly corresponds to fusion power, nanotechnological capability and all that other World of Tomorrow stuff that never quite seems to turn up. We can just about envisage a Type II civilization, as while the idea of building rings of energy-gathering satellites around the Sun is quite outlandish it isn’t that infeasible either; we probably will be able to do that at some point if we don’t kill ourselves off through some kind of horrible climate catastrophe/Malthusian apocalypse. The sort of things a Type III civilization would get up to, on the other hand, are very firmly beyond our technological horizon, and the Kardashev scale is the only thing that’s really punched through that barrier to give us some idea of the scale and capability that a true far future civilization might eventually possess. It’s also acted as an enabler for dozens of hack sci-fi writers to produce oodles and oodles of poorly-formatted bollocks1, but then no good idea ever went unsullied by that particular fraternity. It has been argued that, because we cannot understand advanced civilizations, we cannot predict their behavior. Thus the Kardashev scale may not be relevant or useful for classifying extraterrestrial civilizations. I’d go farther than that, in that the Kardashev scale may not be that useful for classifying advanced human ones either. Most attempts to predict the future even fifty years down the line end up being laughable in hindsight, and it only gets worse as you get further and further away from our modern technological touchstones, so all this stuff I just said about ringworlds and Dyson spheres will probably end up being a load of old balls as well. Even scientists like to dream sometimes, though, and since using structures like these to gather practically unlimited quantities of power that are free for the taking would probably lead to post-scarcity societies like those seen in Star Trek and the Culture novels I’d say it’s a dream worth holding on to. Interesting titbit I just remembered. In the foreword of the Ringworld sequel, Lary Niven talked about an argument he had with a mathematician fan of his. Apparently, the guy did a bunch of calculations and determined that the ring/halo structure is inherently unstable and can’t remain in a stable orbit for long. That prompted Niven to rework the second book to include engines that keep ringworld in orbit. If true, this probably lowers the viability of ring/halo habitat a bit. Note that the Culture orbitals and (I think) the Halo differ from Niven’s Ringworld in that the latter is centred on the star, while the former orbit the star like a planet, with a small inclination so that it has a night/day cycle as it rotates. I thought Culture orbitals were centred on stars? Halo definitely isn’t; it orbits between a gas giant and its moon on one of the Lagrangians. Lagrangians, as we have already covered, are actually not all that stable at all, and especially not for bodies on the scale of the Halo. So yeah, keeping it stable would require engines of some kind. Depends on the Lagrangian (plus I guess, sure, even a technically stable one rather than a saddle point one would eventually drift? ), but yeah, putting something planet-sized on it might tip out of the stability zone. Oh but apparently they do contain M101, according to the Wikipedia page’s image. More likely it’s just that Minds think they look cool. Okay some back of the envelope calculations say I’m talking rubbish except for cases where the thickness of the sphere or ring is quite high compared to the volume of material used. Specifically the cube of the thickness needs to exceed about a fiftieth of the volume for a ring to be better. Of course once you get to that sort of thickness my original assumptions/simplifications stop working but NEVER MIND. In conclusion, they look cool leave me alone. I also got far too excited about doing this. Fairly sure there’s something wrong with me. I kid, I kid. But yeah the maximum surface area for a given quantity of material would actually be the outside surface of a hollow sphere. I think. You say that having artificial gravity generating devices negates the need for the ring, but surely even if you CAN generate artificial gravity if you want to generate it on the scale of a ring it’s going to be far more energy efficient to create the ring and keep it spinning rather than constantly power those devices? I’m thinking long-term energy consumption, rather than up-front effort obviously. Also, in Halo the guys who made it promptly activated it and all died. Perhaps they wanted something that would naturally generate gravity so there wouldn’t be complicated machines involved that could break down and fail after they’d died. However, I suspect that the rubg world couldn’t maintain an atmosphere, so they might need machines for that which of negates this idea. Or could it maintain it? Problem with that idea is that this is exactly why the Sentinels exist: to maintain Forerunner constructs. They all seem to be running perfectly fine after millions of years, so there’s no reason to think artificial gravity systems wouldn’t either. 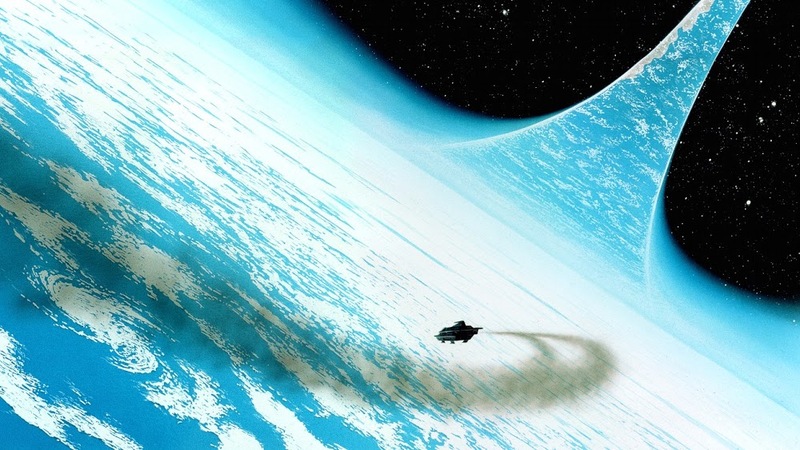 One of my favourite things in any Sci-Fi book ever was the bit on the ringworld in Consider Phlebas when the kid with the AG harness falls to his death, because there’s no gravity on the ringworld – just simulated gravity due to a rotating frame of reference. That absolutely blew my mind. Ha, yes. Banks was always good at making his magical future science come with realistic catches.